Forget all the mortgage acceleration programmes as they will cost you at least $1,000 - $2,000. The Mortgage Acceleration Calculator presents a Mortgage Acceleration Strategy that really works and it costs you nothing. Note: You will get $64.99 FREE bonus (shown in the table below and based on personal use price) when you purchase the Mortgage Acceleration Calculator. 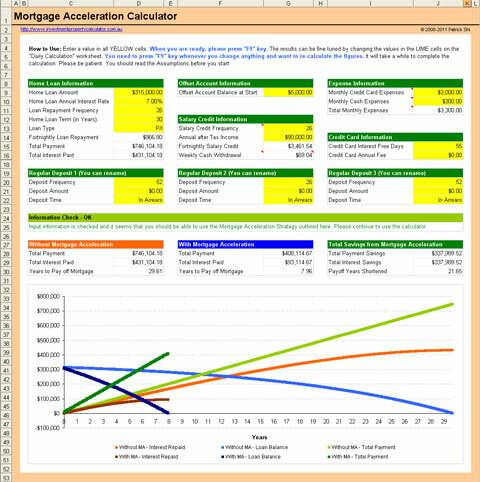 Here is a screen shot that will give you a better idea that what you need to do and what this Mortgage Acceleration Calculator can do for you. 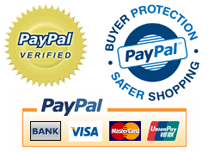 Here is a list of all the features provided by the Mortgage Acceleration Calculator. 11. Up to 30 years projection.